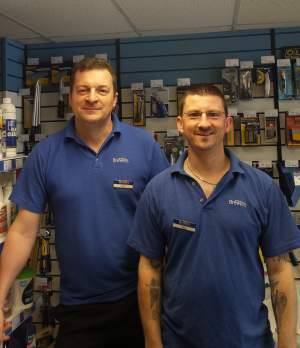 Thornton Heath Branch have been serving local decorators for more that 70 years. 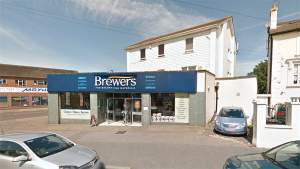 Thornton Heath Brewers Decorator Centre is the oldest Brewers store in the London area. We’ve been open for more than 70 years. Unsurprisingly, we’ve built up a great reputation and a loyal customer base locally. We think that’s as much because of our unwaveringly positive and helpful service as it is because of the excellent product range. In-store you’ll find an array of trade and designer paints, pattern books featuring hundreds of wallpaper choices, and a selection of decorating essentials and equipment. The store is on the corner of Norwich Road and Woodville Road, near Thornton Heath Clock Tower and Palace Football Club. We welcome both trade and retail customers and there’s customer parking right outside, so you can easily load up the car or van. Head south on Buller Road, at roundabout take the first exit onto Woodville Road, the store is located on the right. Head south-east on Parchmore Road, at the traffic lights turn left onto Woodville Road. The store is located on the left just after the Norwich Road turning. Head east on Brigstock Road and follow the B266 through the traffic lights onto Woodville Road. The store is located on the left just after the Norwich Road turning. Head south on Norfolk Road, turn right to join St Paul's Road shortly after turn left onto Parchmore Road, follow this right and turn left at the traffic lights onto Woodville Road. The store is located on the left just after the Norwich Road turning. Head west on High Street, go through the traffic lights and take a right onto Parchmore Road, make a U turn when possible going back onto Parchmore Road, at the traffic lights turn left onto Woodville Road. The store is located on the left just after the Norwich Road turning.